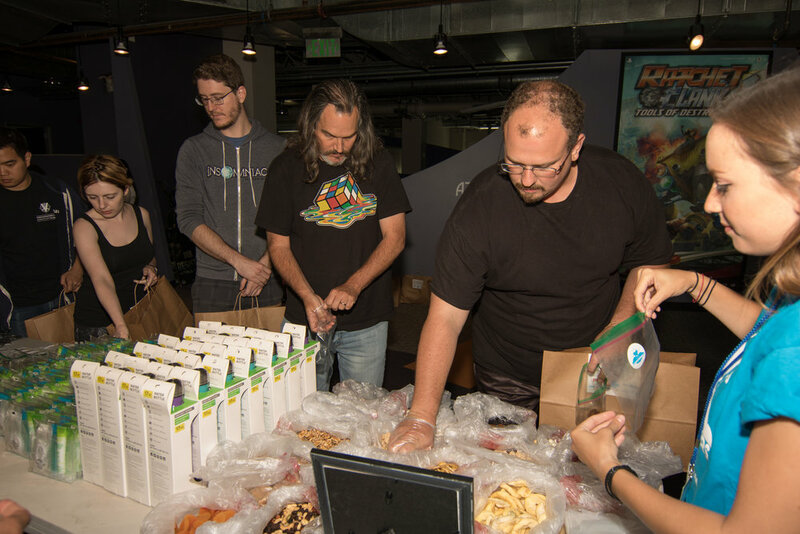 The Dream Builders Project hosted a private “Care Packages for the Homeless” Event for Insomniac Games. 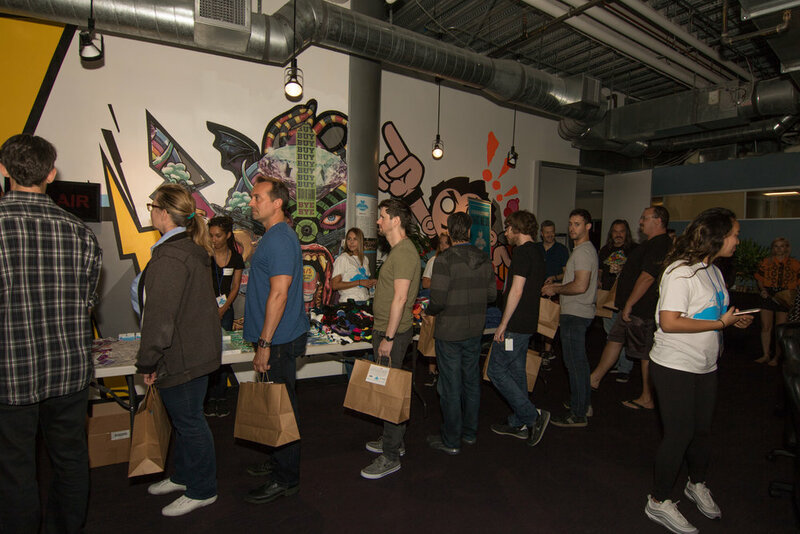 The Dream Builders Project hosted a private event for Insomniac Games, a gaming company in Burbank, CA. 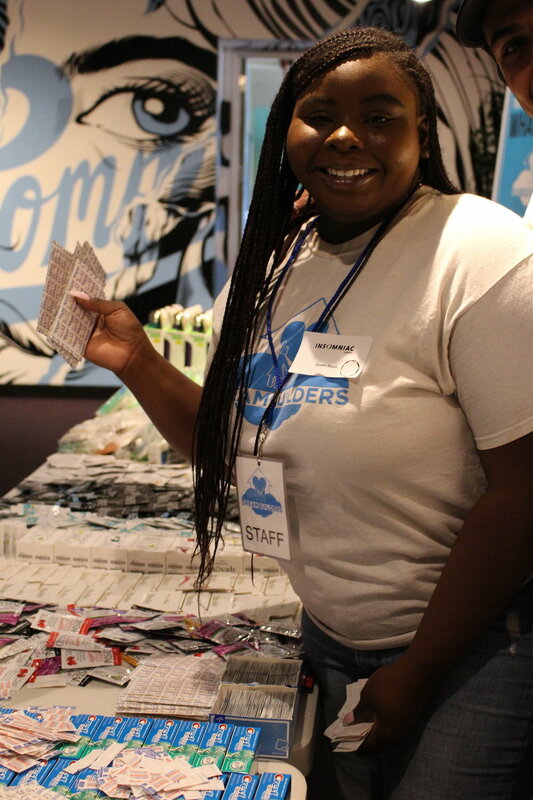 The Dream Builders Project set up a custom version of our signature Care Packages for the Homeless Event with essential supplies for the employees to assemble. 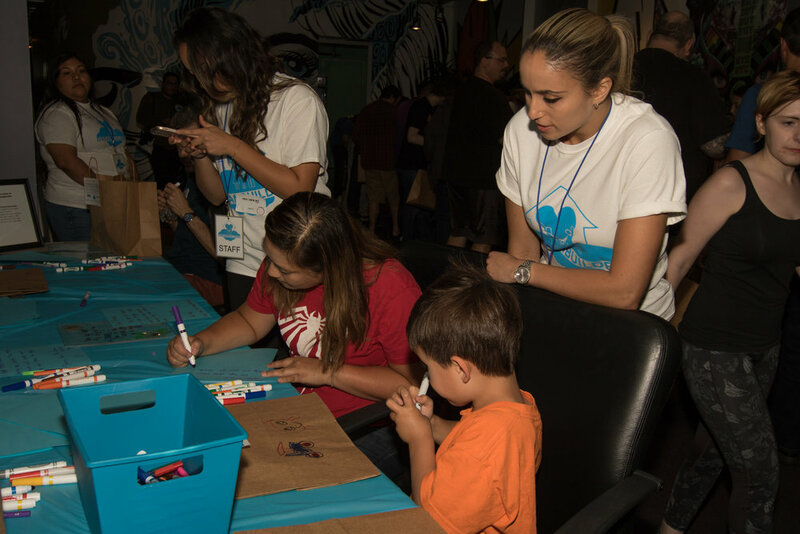 At the care package assembly station, the employees decorated their care packages and assembled the care packages with water, toothbrushes, toothpaste, sanitary items, first aid items and complete with hand assembled trail mix. Another table was setup for the employees to write personal letters of encouragement to add to their care packages. The packages were donated to PATH (People Assisting the Homeless) to be distributed to those in need! Event Sponsors: Crystal, UV Skinz, Noyah, Dude Wipes, Gaiam, Nexcare, Dr. Collins, Sprouts and more!